Chase Bank's Mfukoni App enables the lender's customers to do a lot of banking transactions from anywhere at anytime by simple dialling the USSD Code *275# or through the App. As a registered mfukoni app user,the bank's clients can enquiry for account balance, ask for mini or full bank statements,do funds transfer,access Mpesa services, top up airtime,pay bills and Deposit Cheques , the reason for this post. Chase Bank believes in pictures! 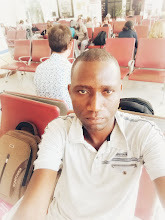 A Chase bank cheque snap shot can be converted into cash.Therefore,customers with the lenders cheques can deposit them from anywhere by taking the paper a selfie. 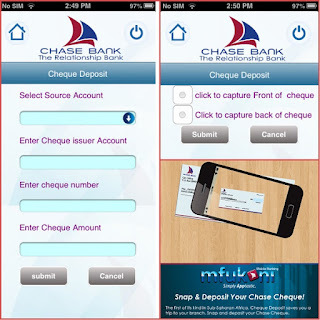 Deposit Cheques using Mfukoni App. 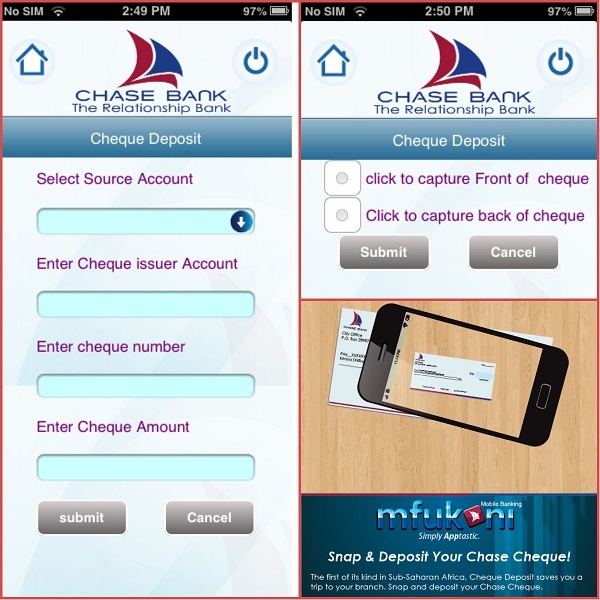 As a mfukoni app user ,you can follow these steps to successfully deposit a chase bank cheque to a chase bank account. That's all.This is the first in Africa.Go Chase Bank!